Ekiti State University, EKSU cut-off marks for 2018/2019 Post-UTME admission have been announced. All candidates who chose EKSU during the 2018 UTME and the general public are hereby notified. Those who did not choose ESKU can also apply. EKSU admission cut-off marks have been categorized into two – Cut-off mark for EKSU Pre-degree candidates and EKSU Post-UTME cut-off marks. This implies that candidates who also passed through EKSU Pre-degree have the advantage of a lower cut-off point. 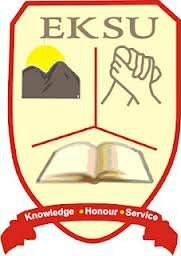 EKSU’s cut-off mark is 180 for candidates who have chosen the school. The University will also consider UTME candidates who did not choose EKSU but scored 180 and above in the last UTME and are interested in changing to the University. EKSU gives concession to its pre-degree students in keeping with senate approval. Last session, 150 was used as cut-off mark in the Post-UTME screening for their pre-degree students only. All interested candidates are advised to apply on time to ensure participation!